I tried to get a picture of Paul outside trick-or-treating, but he was running too fast screaming "ROAR" excited about candy, even though he hasn't eaten any yet. So here is a picture from my brother's office, eating a sweet organic pouch of apples and bananas. What a healthy dragon. next year I want Uncle Buck and Paul together... ! So cute! 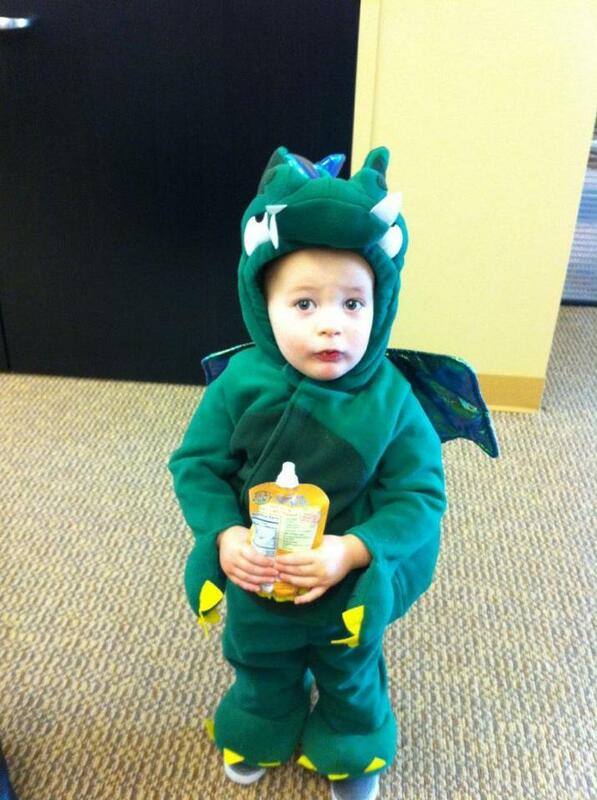 My nephew was a dragon too! I love it!